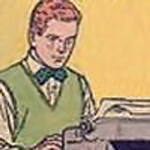 If you’re a regular reader at Cracked.com, you’re sure to recognize the name Chris Bucholz. Over the last seven years he’s written over 300 humor columns at Cracked, touching on everything from Halloween costumes to confusing toys, customer feedback at McDonald’s, zombie movie mash-ups, and the history behind some really weird rock band names. 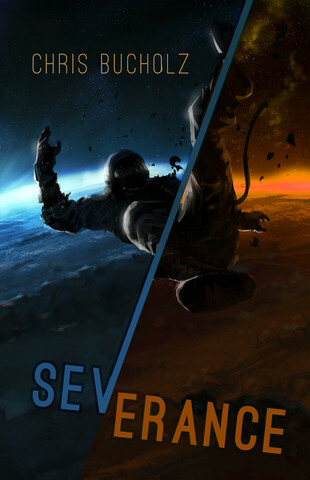 Chris’s debut science fiction novel is Severance (published by Apex Books) and he was kind enough to answer a few of my questions. Let’s get to the interview! LRR: Congratulations on the publication of your new novel, Severance! What’s the quick pitch for the novel? CB: Severance is a comedic science fiction adventure set on a generation ship populated with stupid, stupid people. Severance is a warm fire on a cold day, and a cold drink on a hot day. It’s the son you never had, and now there he is, standing in front of you, arms wide, waiting to hug you. It is a masterpiece. That may be overselling it a bit. It’s my first novel, ok? I tried really hard and I think it’s pretty great.